Early farm exposure, including prenatal exposure, is associated with increased mRNA expression of innate immune receptors (TLR2, TLR4, CD14) in peripheral blood mononuclear cells (PBMC). 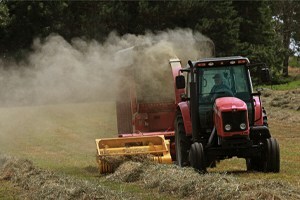 Moreover, epidemiologic studies from multiple continents have found rural farming environments are protective for development of allergic diseases, with a proposed mechanism of skewing toward proinflammatory cytokine responses. One potential explanation for these findings is that pre- and post-natal stimulation of the innate immune system is necessary for optimal immune maturation. Cross-sectional studies on cord blood of term newborns found both pre- and post-natal environmental exposures are significantly associated with unique patterns of immunologic responses. 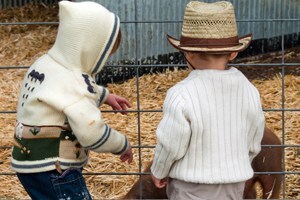 Specifically, the immune response of infants born into farming environments is associated with increased production of proinflammatory cytokines determined from in vitro culture supernatants after culture with TLR agonists. We have unpublished data showing that Wisconsin farm children in the Marshfield Epidemiology Research Area (MESA) are at significantly lower risk for developing allergic disease and clinically significant respiratory viral illnesses. To date, an immunologic profile that allows protection from clinically significant illnesses has not been defined nor has the TLR-mediated cytokine response been characterized at the cellular level in infants from farming environments. Our large NIH grant is in its third year of funding. We have reached 75% of our enrollment goal. We have submitted separate proposals to fund the microbiome analysis (pending) and will submit competitive renewal to the NIH to continue to follow this important and unique birth cohort. Our research group has been awarded a $5 million NIH award to continue this work with a larger number of infants and in a prospective manner. In addition to monitoring immune maturation, this larger study will monitor respiratory infection frequency and severity, development of allergic diseases (for example, atopic dermatitis), and collection of individual and environmental samples for future microbiome analysis. 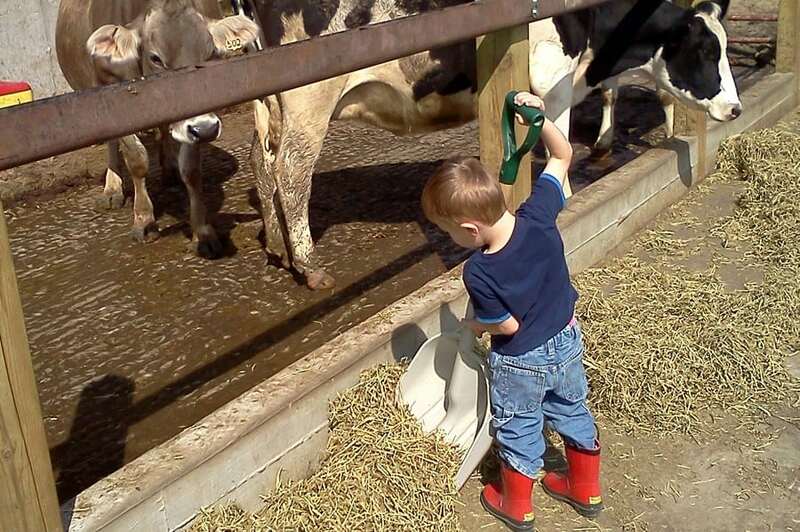 Why do Farm Kids Have Lower Rates of Asthma? 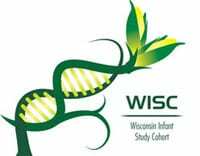 Wisconsin farm children in the Marshfield Epidemiology Research Area (MESA) are at significantly lower risk for developing allergic disease and clinically significant respiratory viral illnesses. Oral presentation: Use of Multi-parameter Flow Cytometry to Determine Immune Phenotypes Associated with Decreased Respiratory Illnesses and Allergic Disease, Great Lakes International Imaging and Flow Cytometry Association (GLIIFCA) annual meeting, Oconomowoc, WI Sept 19-21, 2014. Our research group was awarded a $5 million NIH award to continue this work with a larger number of infants and in a prospective manner (U19 AI104317 PI: Gern; Co-I: Seroogy). In addition to monitoring immune maturation, this larger study will monitor respiratory infection frequency and severity, development of allergic diseases (for example, atopic dermatitis), and collection of individual and environmental samples for future microbiome analysis. Update as of August 2015: Our large NIH grant is in its third year of funding. We have reached 75% of our enrollment goal. We have submitted separate proposals to fund the microbiome analysis (pending) and will submit competitive renewal to the NIH to continue to follow this important and unique birth cohort.